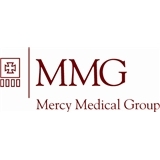 Mercy Medical Group on Pulaski & 55th (Chicago) - Book Appointment Online! Expert, compassionate physicians committed to excellence and helping you Live Well in your neighborhood. It was a good visit. The doctor spent time with me and gave me some exercises for my hands. I drive 15 miles to see Dr. Finegold . He takes the time to listen and explain. Excellent doctor and great staff. The doctor has a terrific bedside manner. He listens to what I say and respects my feelings. I hope to continue having him as my doctor for a long time.